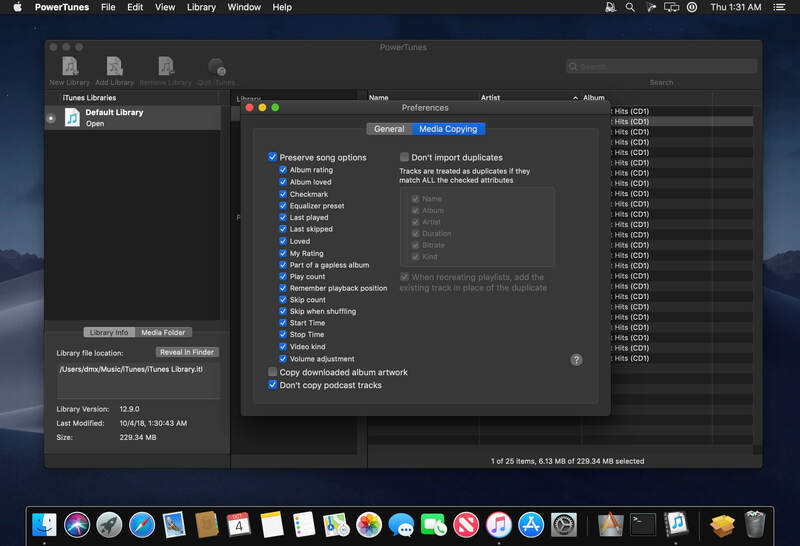 PowerTunes allows iTunes users to create multiple libraries, organize their music among multiple music folders, and share music and libraries between multiple users on a machine. 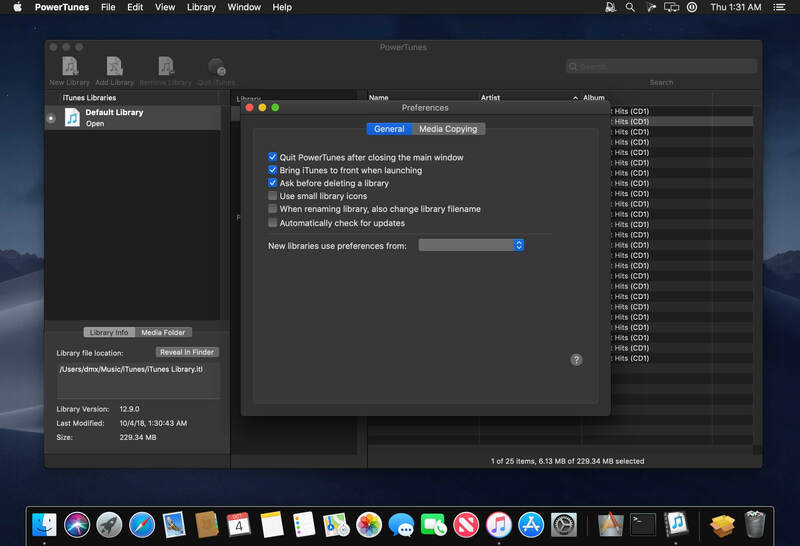 In addition to simply creating and keeping track of your libraries, PowerTunes also offers many additional features to help organize your music. Users can copy music back and forth between their libraries while maintaining all their ratings, play counts, and other information stored in iTunes. This allows libraries to be split up into smaller ones, or merged together into larger ones. 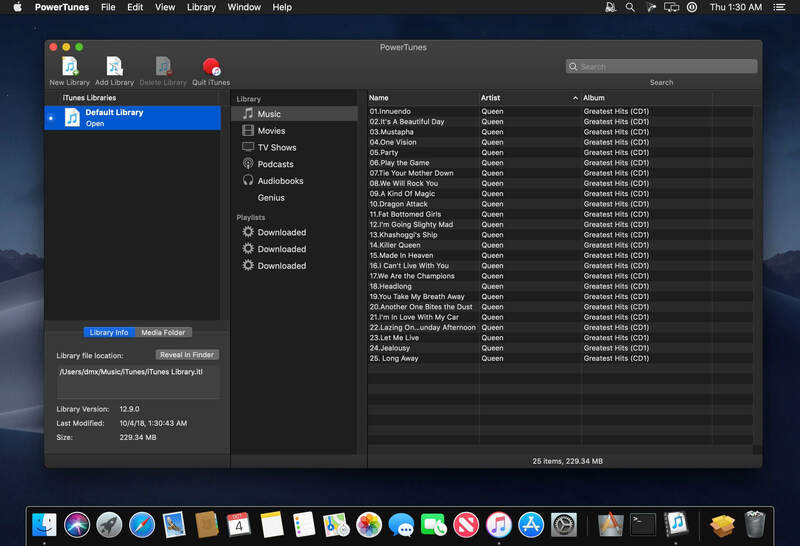 PowerTunes also offers a one-step solution for sharing iTunes libraries and music among multiple user accounts on a machine, allows users to fix dead tracks whose files have gone missing, finds orphaned music files in their music folders, and much more.